I’m sure the rest of this creature’s body isn’t totally nightmare-inducing. 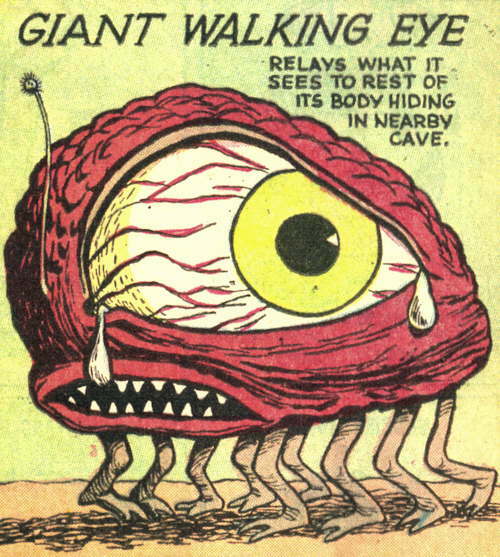 Awww, poor giant eye, I think his legs are the monster and he’s just the victim. See how evil they’re walking? Where’s the Visine when you need it?